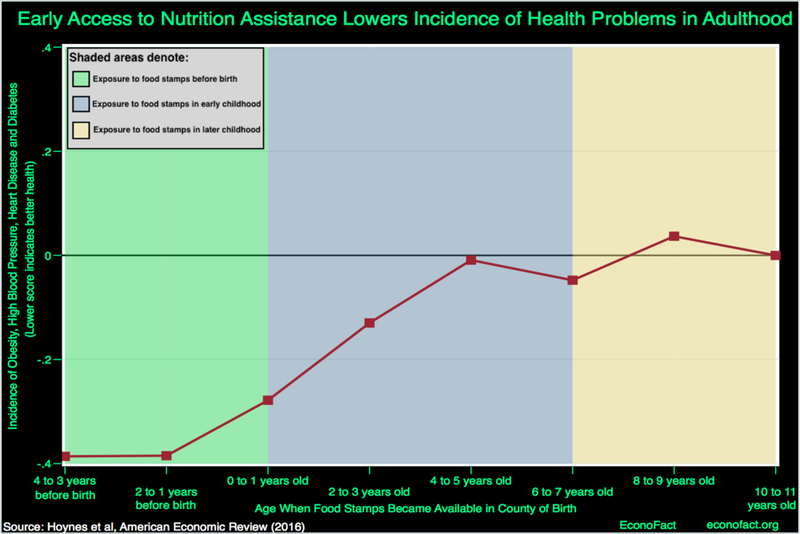 The Supplemental Nutrition Assistance Program (SNAP), also known as "food stamps", is one of the largest anti-poverty programs in the United States, reaching over 44 million Americans in 2016, at a cost of $73 billion to the Federal Government. Major policy changes up for consideration in Congress as well as the Trump administration's federal budget proposal could lead to dramatic funding cuts to SNAP. While the costs are easy to tally, the program also has measurable short- and long-term benefits, especially for children. — This piece is cross-posted from EconoFact.